The researchers behind the study themselves requested to retract the article at the end of last week, following sharp criticism of the study in an opinion from the Central Ethical Review Board. To recap: The June paper received widespread media coverage for suggesting fish larvae prefer to eat microplastic over their own natural prey. But shortly after publication, a group of researchers raised several allegations, including that the paper contained missing data and used a problematic methodology. The Central Ethical Review Board also had some harsh words for Uppsala and Science, noting it was “remarkable” the university didn’t find evidence of dishonesty, and that the paper was ever published by the journal. Science had issued an Expression of Concern for the paper in December. “Environmentally relevant concentrations of microplastic particles influence larval fish ecology,” has been cited 24 times, according to Clarivate Analytics’ Web of Science, formerly part of Thomson Reuters. After an investigation, the Central Ethical Review Board in Sweden has recommended the retraction of the Report “Environmentally relevant concentrations of microplastic particles influence larval fish ecology,” by Oona M. Lönnstedt and Peter Eklöv, published in Science on 3 June 2016 (1). Science ran an Editorial Expression of Concern regarding the Report on 1 December 2016 (2). The Review Board’s report, dated 21 April 2017, cited the following reasons for their recommendation: (i) lack of ethical approval for the experiments; (ii) absence of original data for the experiments reported in the paper; (iii) widespread lack of clarity concerning how the experiments were conducted. Although the authors have told Science that they disagree with elements of the Board’s report, and although Uppsala University has not yet concluded its own investigation, the weight of evidence is that the paper should now be retracted. 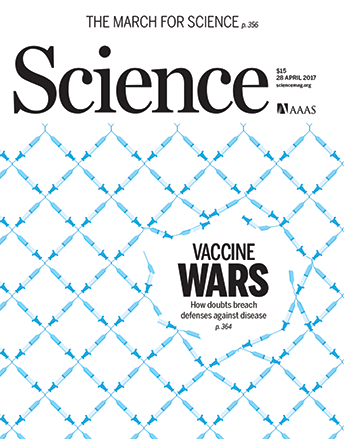 In light of the Board’s recommendation and a 28 April 2017 request from the authors to retract the paper, Science is retracting the paper in full.